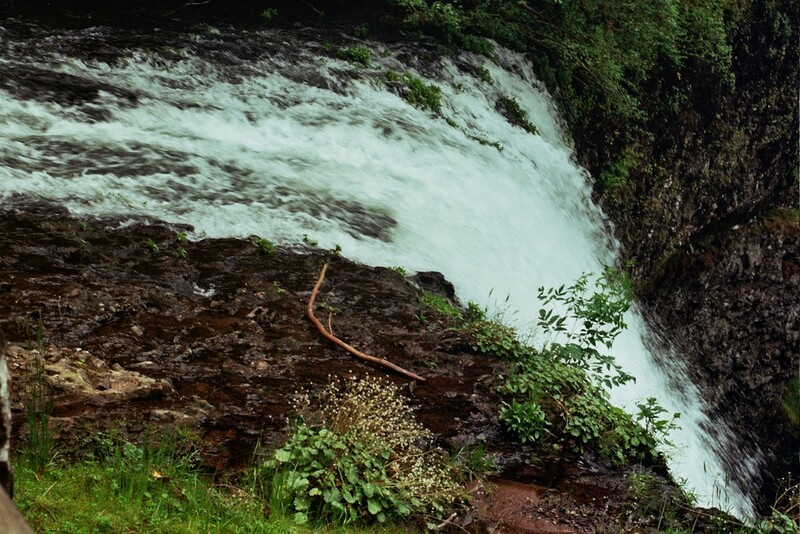 Here is a decent photo of the top of the falls in Silver Falls, Oregon. Everything here is au natural as the Park Rangers made sure no one was dumb enough to get down to the water level. What was also impressive was the roar of the water was so deafening, it was unbelievable. A lot of power in Mother Nature's Works. This shot was one of the ones I had converted from film to digital format. Fortunately, there was no problem with excessive noise. At least I do not see any. Please enjoy and thanks so much for looking. Well, unfortunately it appears as though we lost some sharpness in the upload process. Last edited by Tonytee; 02-19-2016 at 10:52 PM. Reason: Additional Information. By the looks of it, you are standing on the cliff. Careful there. On the photo side, the water looks like it's rushing really fast and is willing to swallow anyone who goes in it. Why thank you, Mr. LeDave sir. Everything you said is D.O.T. Direct On Target. I appreciate your comments.